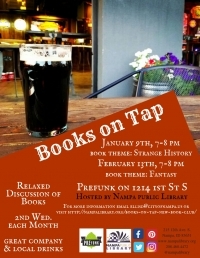 Meet up for a relaxed discussion about books, focused around a different theme each month. Rather than selecting one book to read, we will decide on themes for each meeting and make some fiction, nonfiction or graphic novel suggestions. Feel free to read one, all, or something else not on the list! 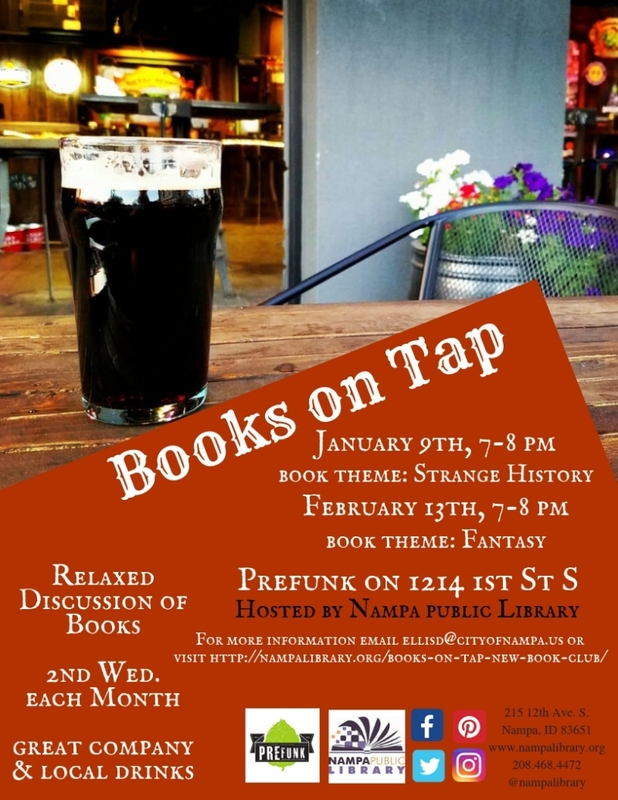 We will be meeting the second Wednesday of each month from 7-8 p.m. for a no-host gathering at PreFunk Beer Bar, located at 1214 1st St. S. in Downtown Nampa. Come and get to know everyone. Share theme ideas or book recommendations.